Many of the groups actively involved in acts of piracy thumb their noses up when contacted by the designer to end the copyright infringement often because designers don't follow up by filing complaints with the appropriate authorities. You can find the Online Crime Reporting submission form here which is specifically for the reporting of instances of high-tech crime in Australia. 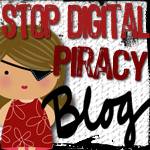 If you are an Australian designer that has been affected by an act of piracy, it is well worth filing a complaint with AHTCC as well as the Internet Crime Complaints Center (IC3 - the US based FBI/National White Collar Crime Center partnership) because of international cross-over of jurisdictions between designer, selling point (ie the digital scrapbooking store/s that the designer sells through) and the location of the individual/s or group/s that initiated or is involved in that act of piracy. More links to learn about piracy. If you ever come across an interesting and informative website that you think would fit well here, please e-mail me and let me know! (jenstrangeATgmailDOTcom) Here are a few websites a friend shared with me that are a great source of information. -- Articles: on this page are three articles. -- Recommended Reading: a list of books you can buy at Amazon to help understand copyright as it relates to crafts and creative arts. An online copy of the consolidated Australian Copyright Legislation is available through the Australasian Legal Information Institute: Australian Copyright Act 1968 The specific sections of the act dealing with the protection of works in electronic format can be found here: Protection of Electronic Works ~ a bit on the wordy side but definitely worth having a look.